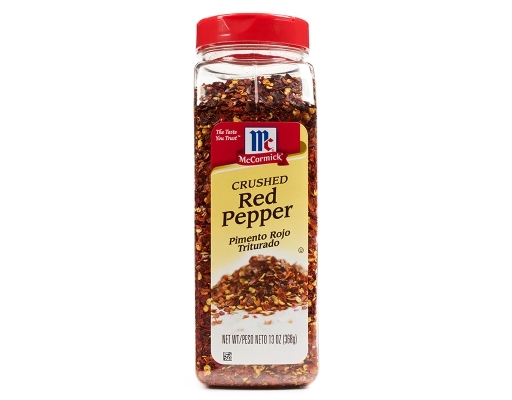 No $1 slice of pizza is complete without McCormick Crushed Red Pepper. 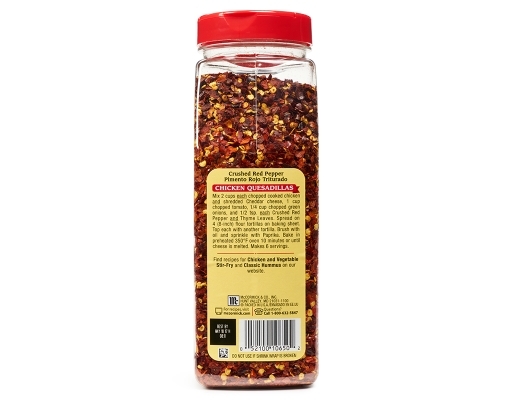 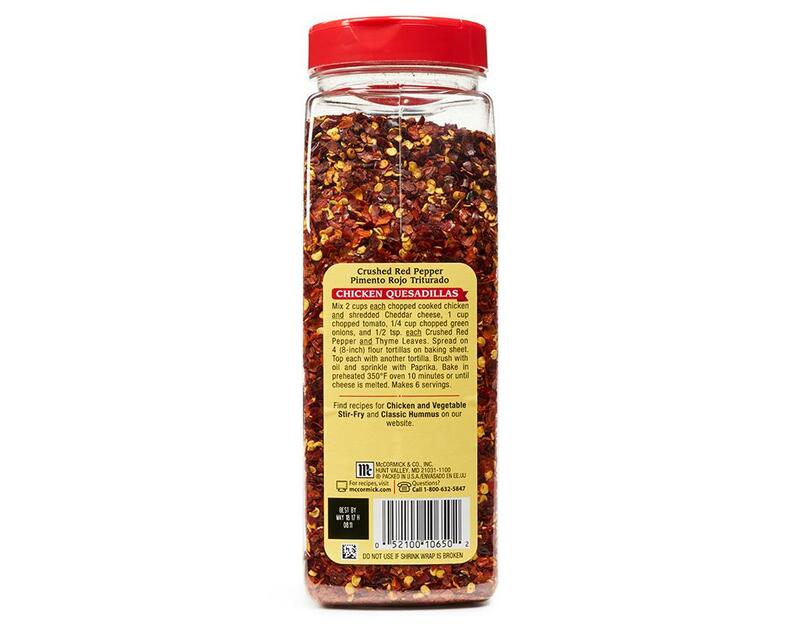 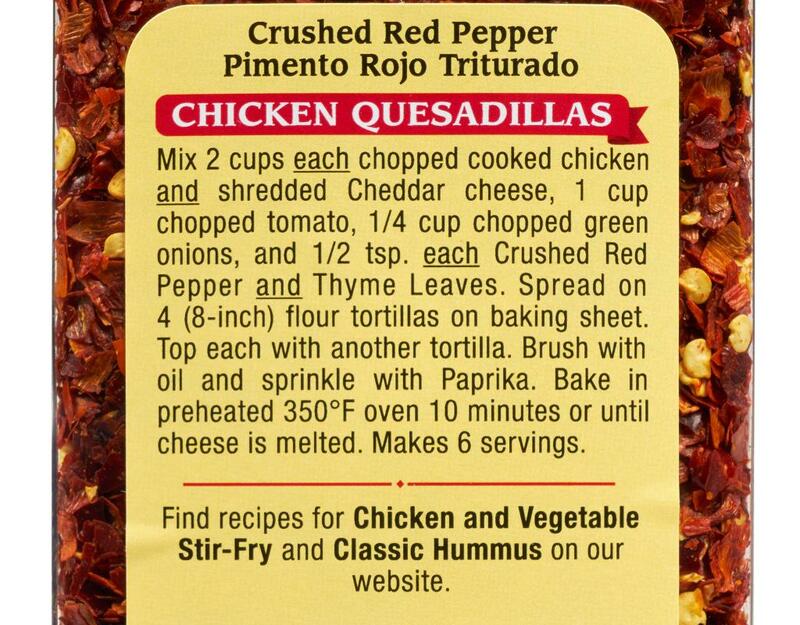 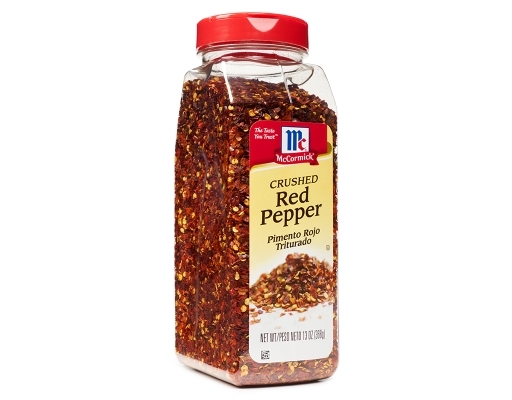 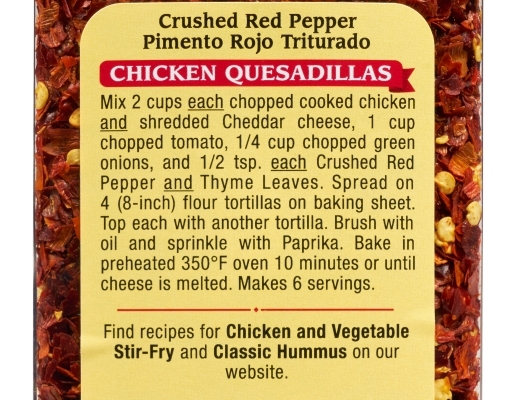 Crushed red pepper or red pepper flakes are dried and crushed red chili peppers, not ground. 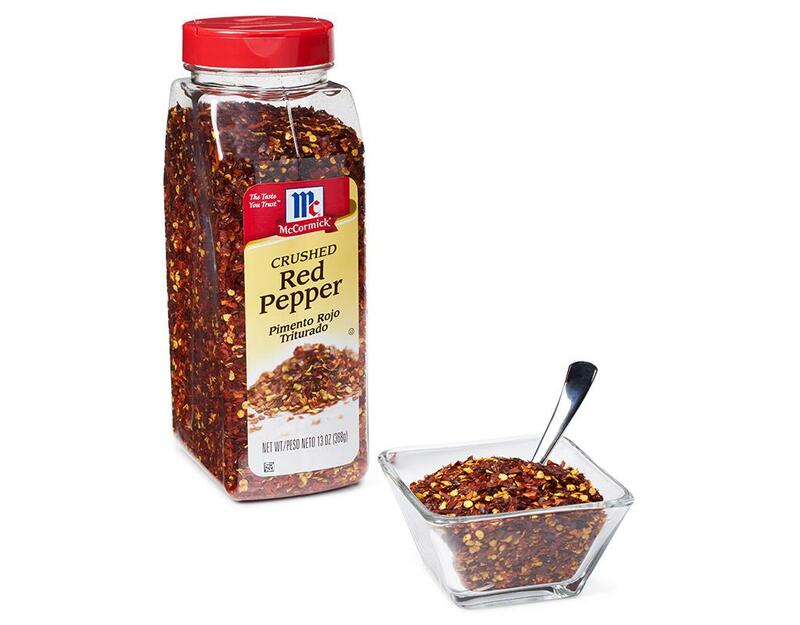 • Use in curried dishes, creamed dishes, casseroles, barbecued beef or pork, salad dressings and chowders. 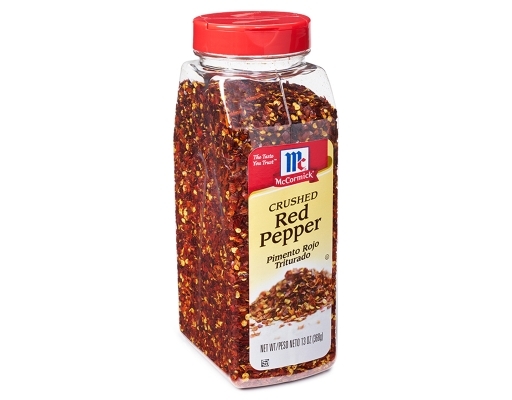 • Use to season pizza, pot roast, beef stew and minestrone.